Need a storage tank up to 200,000 litres and need it fast? Regal Tanks, the UK's leading independent supplier of new, used and rental storage tanks will step-up to your toughest demands. If your storage tank hire requirements are for short term or long term tank hire and you're looking to save time and money, our innovatively designed, low carbon footprint hire tanks are the perfect choice. And if you're looking for a permanent storage tank solution, as one of the UK's largest stockist and suppliers of new storage tanks and used storage tanks, you can rest assured we can help. We have a vast range of storage tanks available for hire and for sale, both new and used. No matter what you are looking for - bunded tanks, single skin tanks, plastic tanks, mild steel tanks - we are confident you will get the storage tank you need. As a customer of Regal Tanks, not only will you be treated to a first class service from our friendly storage tank advisers, but you will also get honesty and reliability. Incorporated in 1985, Regal Tanks is certified as UKAS ISO9001 in new, used and hire storage tanks. Will arrive to you commercially clean. Expertise in advising the right storage tank for the right job. 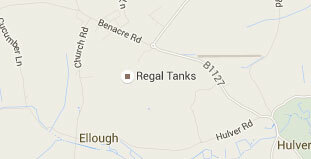 Regal Tanks – Your invaluable resource for used storage tanks and industrial tank hire.